I love entertaining at home. It surprises me to say that now because I was painfully shy when I was growing up. However, my mother is one of the most sociable and gregarious people on the planet, and she loves to entertain people. She will invent reasons to throw a tea party, a soiree, a dinner party, brunch, whatever! She is the consummate party hostess, and can throw one at the drop of a hat. Maybe some of it has rubbed off on me. 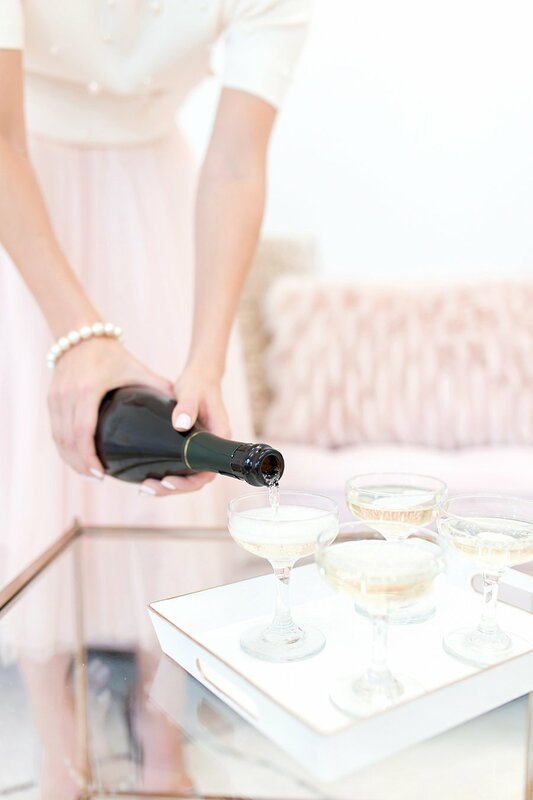 Parties don’t have to be elaborately-planned affairs all the time. Yes, they’re nice if you can do a full production with caterers, musicians, the works. But with today’s busy lifestyles, increasingly smaller homes, (and frankly, less household help than what my mother’s generation has) they’re not just impractical, but also quite impossible to pull off without a whole lot of lead time. Food & Drinks. If you’re a good cook, try to plan a menu with items you can prepare ahead of time. That way, when you get home from work, all you need to do is reheat them, and prepare the salad. Or you can always order from your favourite delivery service. Tablescape. Unless you have a huge table, ditch the centrepiece and only put food in either colourful platters, or use platters in only one colour so it looks coordinated. Arrange them so they are in different heights (it looks nicer). Don’t line them up like a buffet station at a hotel. Add small votive candles in between, and you’re all set. Music. Plan the playlist ahead of time and make sure you have enough for 3-4 hours. Start playing it 10 minutes before everyone arrives so you’re not scrambling to pair your bluetooth speaker while welcoming people. Don’t forget the flowers! You might think this is an unnecessary splurge, but it’s not. 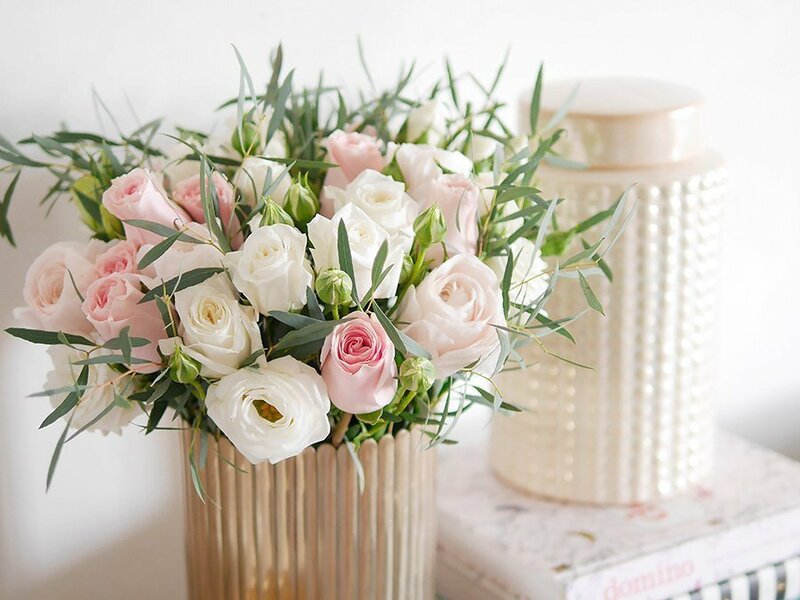 There is nothing like fresh flowers to make guests feel welcome and your home look festive. Order them a day ahead so they have time to bloom. I love companies like Little Flower Hut, that allows you to completely customize the floral arrangement: you can pick the flowers as well as colours. 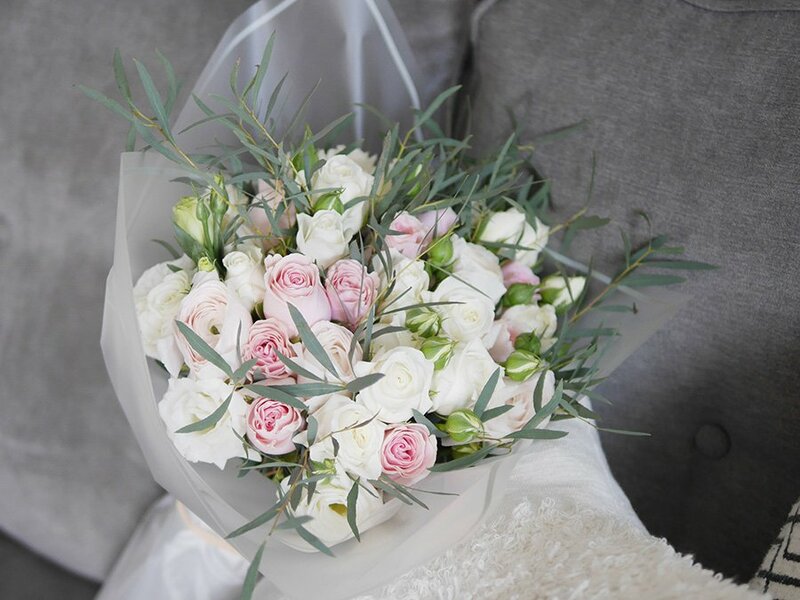 You can opt to order flowers with a vase or basket, or if you own pretty vases, you can just order a hand-tied bouquet and pop it into the vase. 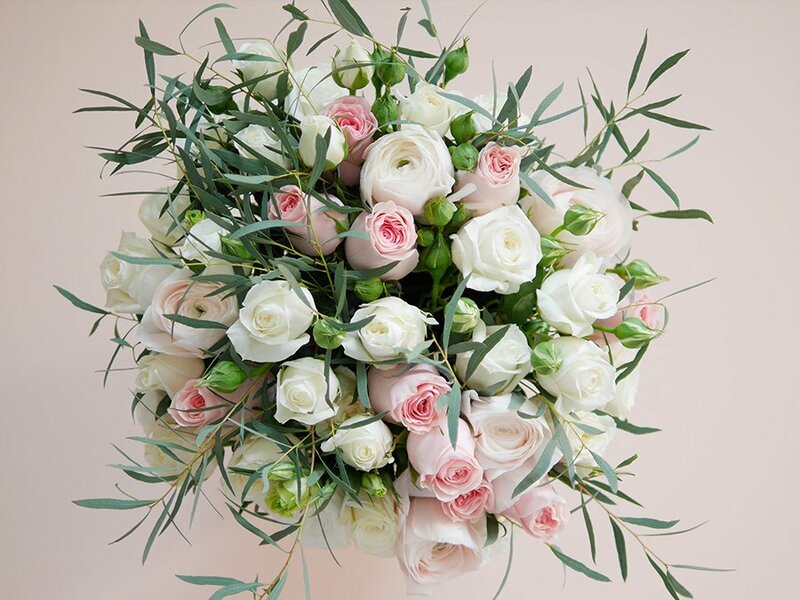 For my order, I specified a mix of blush and cream flowers, mixed with pale greenery. 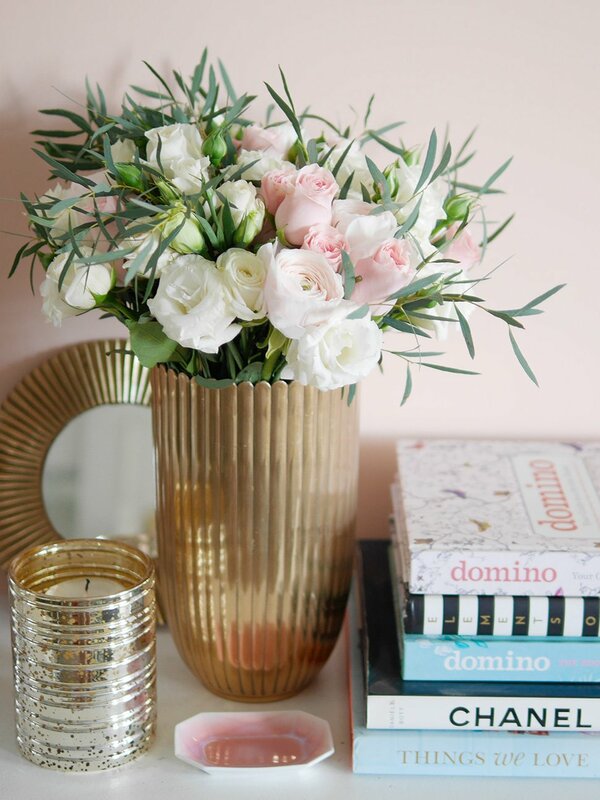 I gave them the height and diameter of my vase, and they cut the stems in the perfect height. Seriously, all I had to do was pour water into the vase, and placed the bouquet in. No effort! And it looks perfect! The flowers were delivered last Tuesday, and I’m happy to say that they’re still looking fresh and pretty 3 days on. (Do make sure you change the water every day.) Perfect for the dinner I’m hosting tonight! *** Little Flower Hut has generously offered a sitewide 10% discount exclusive to my readers. Just key in promo code “pat10” on checkout!